Not too long ago I was having some problems with inflammation in some of my joint area that didn’t allow me to work out as hard as I wanted too. I was referred to Dandelion as a means to help improve the inflammation and assist with added weight loss and overall circulation. 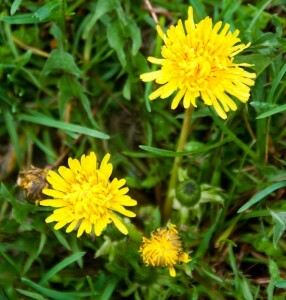 When I heard the name Dandelion, I immediately associated it with the weed that most of us have come to despise. You know, the one that turns our lawns into an allergy ridden mess. I now have to say my assumptions were very wrong, and now instead of despising Dandelion, I’m very appreciative for its help. The first traces of its usage for medicinal purposes date back to the time of the 10th and 11th centuries by Arabian physicians. They referred to it as “Taraxacum originalle”, which means “official remedy for disorders”. In ancient times it was used to treat liver and stomach problems, it was also used as an energy and immunity booster. Throughout the ages it has been continued to be utilized and modern research has found that it’s much more beneficial than we’ve initially thought. Both the root and the greens of the Dandelion have amazing properties that truly make it one of nature’s little miracles. Why Are Dandelions Good For me? If you're looking into the Greens portion of the Dandelion and are wondering if they are as great as people say they are, then check out some of these facts. 1. Dandelion greens are LOADED with Beta Carotene and vitamin C, they also help with fat absorption making Dandelion a very effective solution for weight loss. 2. They’re great for being used as a NATURAL DETOXIFIER. Dandelion has been used throughout the ages to help clean out the liver, it helps to reduce inflammation and its high antioxidants help to restore balance within the body. 3. Dandelions are loaded with Calcium, I read somewhere that 1 cup of chopped Dandelion is almost 10 percent of your daily recommended dose of Calcium. That’s even more than the super green Kale has, so adding a few cups to a protein smoothie or green drink can give your drink a bit more of a punch. 4. Dandelions are low in calories, 1 cup has around 25 calories, making it an excellent supplement for those of you who want to add it to a green drink or salad. 5. 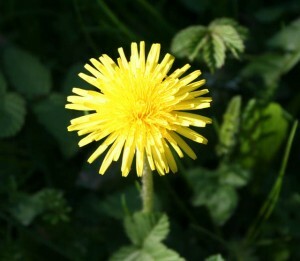 Dandelions are rich in Iron and loaded with minerals. The minerals include copper, magnesium and phosphorus. 5 reasons to use Dandelion! 1. Helps high-cholesterol and digestive system– Studies have found that by supplementing with Dandelion, not only does it help to restore balance within your digestive system, it helps control the bad cholesterol within the body. Dandelion positively affects antioxidant enzyme activities and lipid profiles. It’s said that frequent supplementation can help protect against oxidative stress related to circulatory ailments. It helps to stimulate bile production therefore helping to get rid of the toxins much quicker and effectively. 2. Liver benefits– Dandelion has been used for hundreds of years because of this benefit. It has been found that Dandelion can provide antioxidant activity against free radicals counteracting the damage that acetaminophen and other over the counter drugs can cause to the liver. 3. Fat Loss– Dandelion is said to help boost your metabolism, also it helps the body to break down fat and toxins much quicker than your body normally would on its own. 4. Cancer benefits– Dandelion is full of Tof-CFr, a glucose polymer similar to lentinan, researchers have found that this substance has been found to counteract cancer cells in lab tests. Dandelion has been found to increase the body's natural resistance to cancer, helping to fight it off. 5. Dandelion for tumors– Recent studies have found that Dandelion extracts in a laboratory setting have actually stunted the growth of tumors. Studies are ongoing, but this is reason enough to supplement with it! There are many ways you can utilize Dandelion too your benefit. You can take the leafs and make tea or add them too a salad. You can also add them too a sandwich or just enjoy them by themselves as a light snack. The roots can be steamed, dried, then eaten. You can also grind the roots once they are dried and add them too a tea or too a salad. You can also buy them in capsule or oil based form. The best part is that even in high doses they aren’t toxic at all. The only precaution would be if you're allergic too Dandelions, you may want to consult with a specialist before using them.